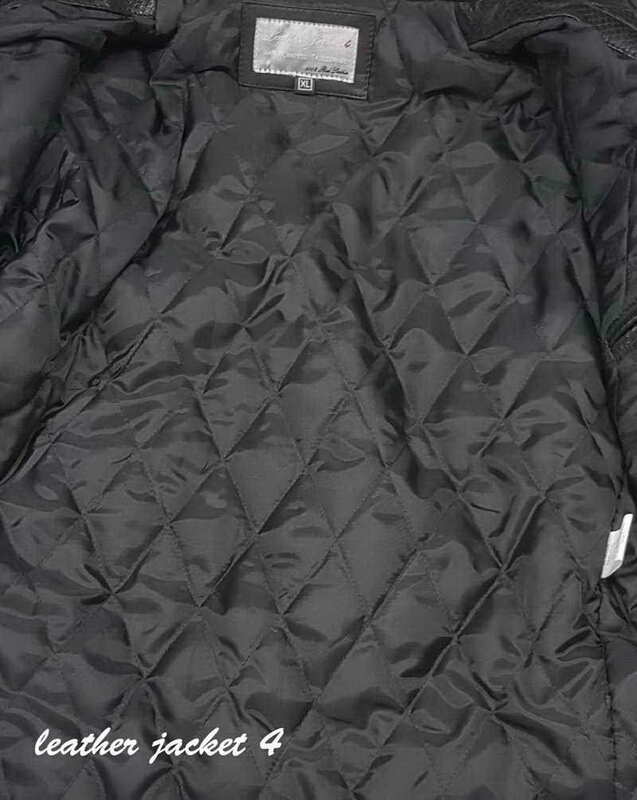 • Fully lined interior; 100% polyester body lining and sleeve lining. 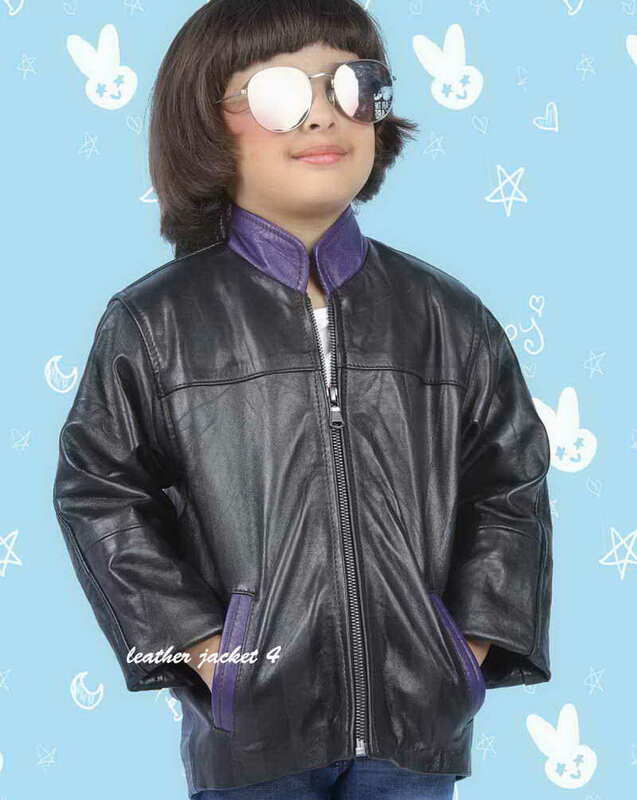 Kids are full of fun and playful all the time. No matter what season or occasion has come, they are always excited to run, fight play and love to make noisy fun around and posing a careless attitude. This renders you to be attentive and busy to protect them from winter breeze and dusty activities which gives the hard time for you to keep them shine all day long. 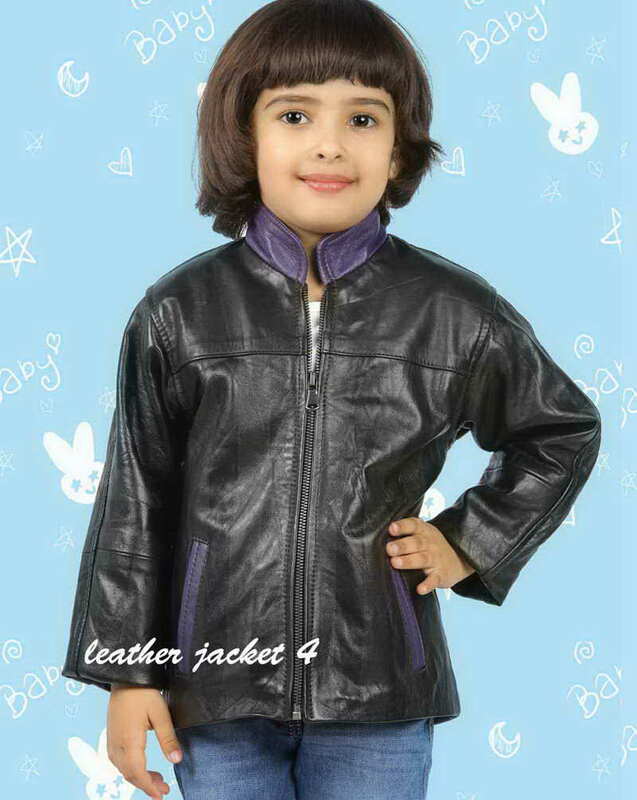 Thus, the black leather jacket would be a perfect match for your kid in the peak of winter. It has black color so you need not to be much conscious for a perfect contrast with shirts and pants. It absorbs enough warmth to shield them from cold atmosphere and has an overall decent and plain look for a day to day use. 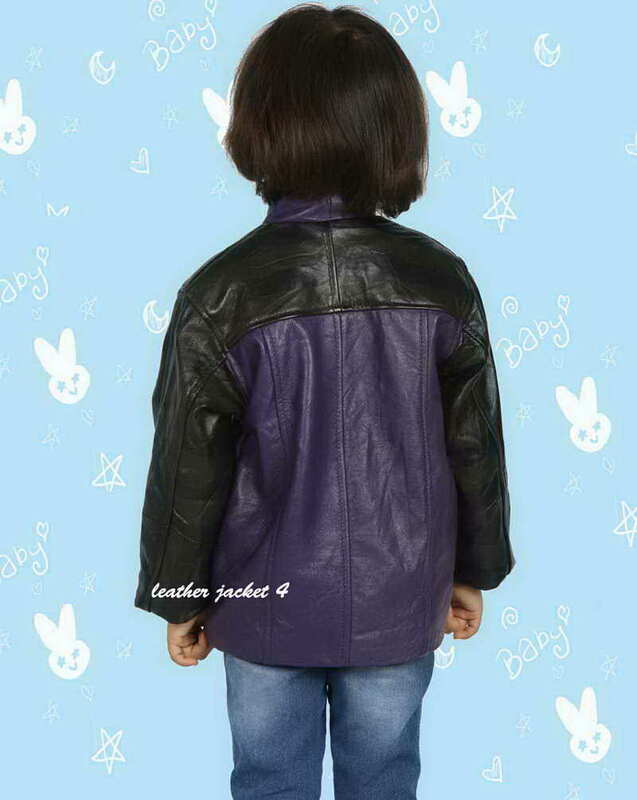 The jacket is contrasted with navy blue stand up collars and front pockets with blue linings. Open cuffs and zipper front closure make it pretty casual to wear. 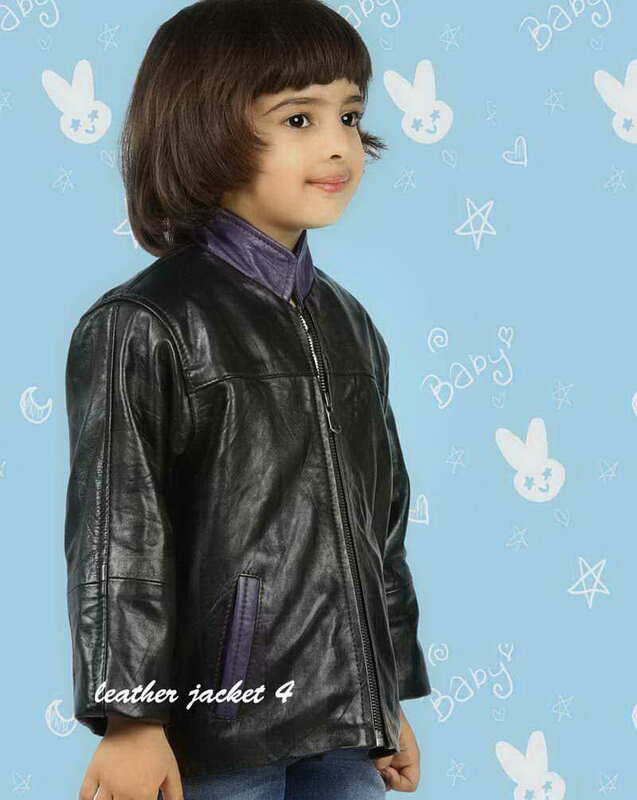 Having inner viscous lining for a warm comfort and caress touch to the body makes it must to have in your little's wardrobe. 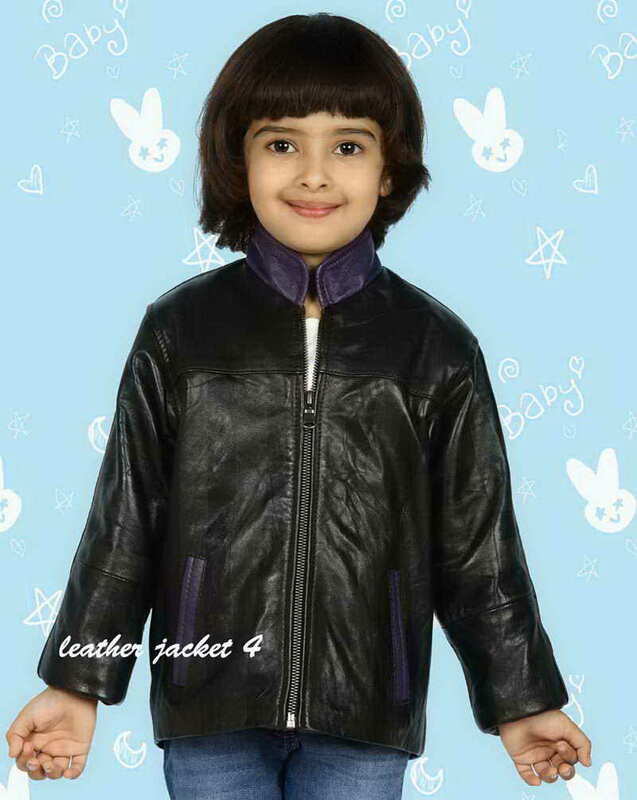 Had a wonderful experience of shopping online at LeatherJacket4, I really like their website collections of jackets. I purchased this bomber jacket last month and it was very satisfying buy II've ever had, I donI't have much knowledge about leather yet II'd say this jacket remained in its original shape after rough use for about a month. Recommended! I am from North America, and it is very cold here, sometimes go down to single digit. I already have couple of heavy trench coats, but when I compared my coats with this one I could easily sense the difference in its favor. I hope this is going to be my favorite jacket for next few years.